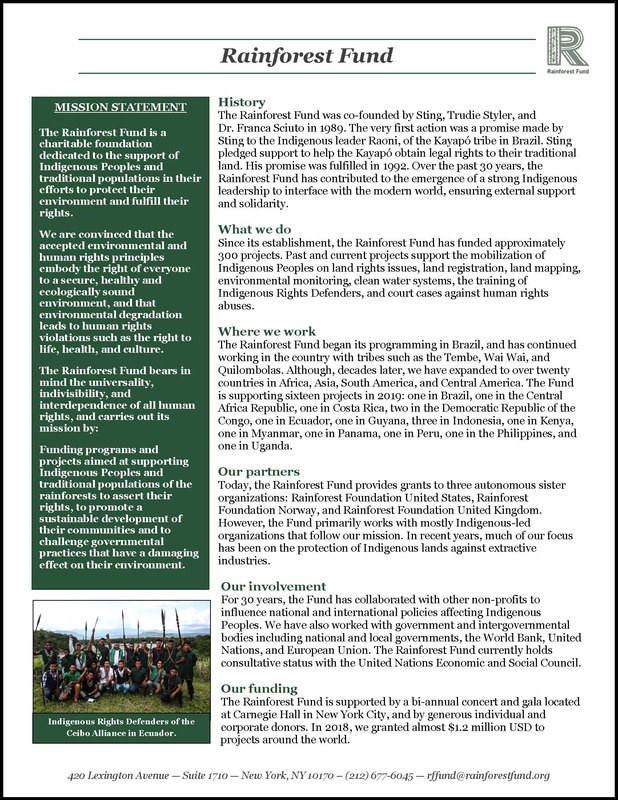 The Rainforest Fund supports programs that cover a range of issues from protection of civil and political rights of Indigenous and tribal peoples, to the promotion and defense of their social, economic, and cultural rights; including the protection of rights to their land and against the destructiveness of resource exploitation. 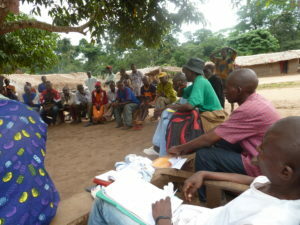 Moloukou community meeting in the Central African Republic. 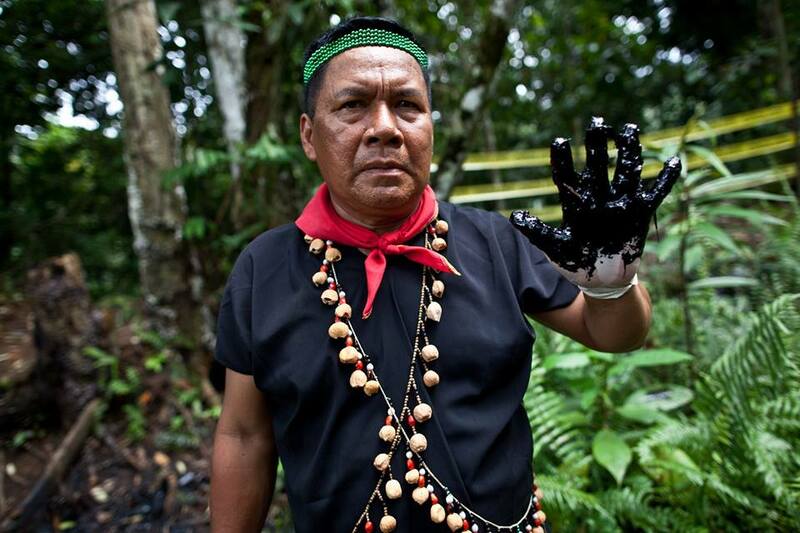 Climate change mitigation so that Indigenous and tribal peoples may sustain a healthy livelihood. Programs have originated with Rainforest Foundation Norway, Rainforest Foundation UK, Rainforest Foundation US, Equipe de Conservção da Amazônia (ECAM, Brazil), Ceibo Alliance (formerly ClearWater, Ecuador), Alliance Nationale d’Appui et de Promotion des Aires du Patrimoine Autochtone et Communautaire (ANAPAC, Democratic Republic of the Congo) and various Indigenous organizations within rainforest countries. Meeting with the Bahua Dayak in Long Isun, Indonesia. We assess each program based on stringent criteria, the most important being the empowerment and ownership of the beneficiaries. 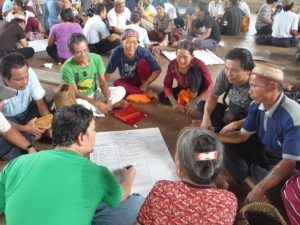 Planning and implementation measures must be conducted primarily by the beneficiaries as all programs and activities should strengthen the peoples themselves.